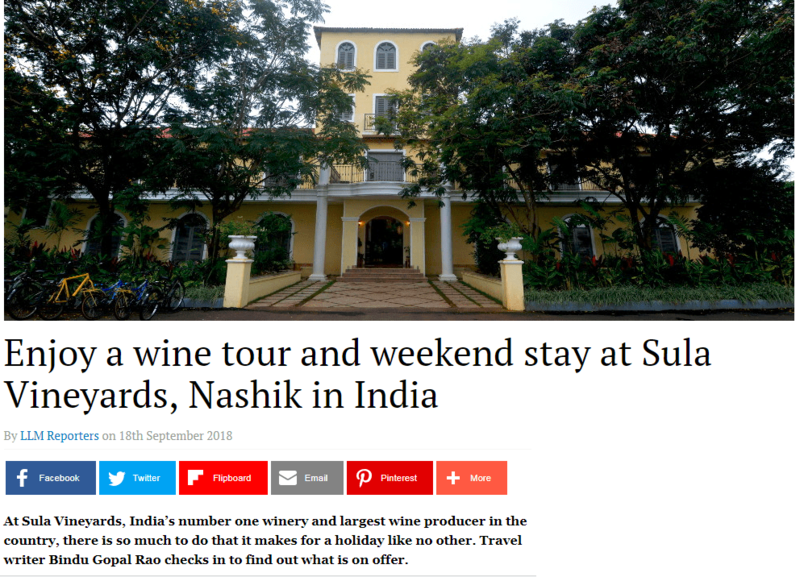 At Sula Vineyards, India’s number one winery and largest wine producer in the country, there is so much to do that it makes for a holiday like no other. A close to four hour drive from Mumbai to Nashik, said to be India’s answer to Napa Valley is a contrast of sorts. Once the bustling traffic and concrete structures of bustling Mumbai pass, the landscape changes dramatically. Swathed in the monsoon rain, the highway has all shades of green and sets the tone to exploring the famed vineyards of Sula. Spread over a whopping 3000 acres, Sula’s owned and contracted vineyards is home to some of India’s finest grapes and is not just the number one in India but is also exported abroad. Entering the gate of the property you are greeted by rows and rows of grape vines that make for a soothing sight to the eyes. This is where you can sign up for a tasting and factory tour that will give you a sneak peek into the hard work that goes into your wine bottle. 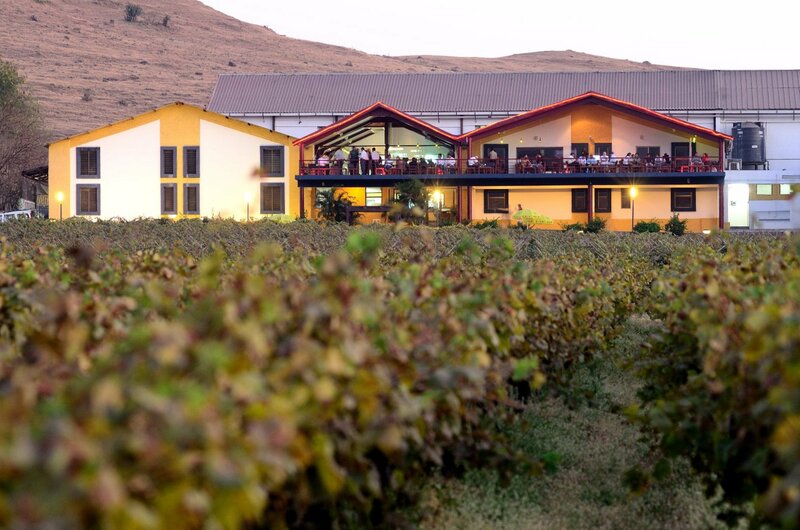 Started by Rajeev Samant in 1999, the volcanic origin soil of Nashik at an altitude of 600 metres above sea level and warm mornings and cool nights make the terroir perfect for premium wine grapes. Working with Sula’s Master Winemaker – Kerry Damskey, the company now has 35 variants to its credit. Sula’s premium red grapes like the Cabernet Sauvignon, Shiraz, Zinfandel, Malbec and Tempranillo are produced at nearby Dindori. When you are here you can opt for different kinds of tours including ‘Taste & Buy’ where you can taste six of the top wines including the flagship Rasa Shiraz under the guidance of the in house wine experts. If you prefer champagne, the ‘Sparking Wine Tasting’ allows toy to taste the limited edition, summer special where you will be shown how Sula used the traditional ‘Champagne’ method to produce elite sparkling wines. Or try the ‘Personalized Tasting’ where you can enjoy a guided tasting of the top wines overlooking the vineyards. Do sample the flagship Rasa Shiraz and limited edition Rasa Cabernet Sauvignon and pair it will a selection of cheese. There are two options if you want to spend a night or more here. The Source at Sula has Tuscan style architecture complete with cobbled courtyards, a rustic courtyard and corridors with elegant lights. There are 23 rooms here with one Tower Suite, four vineyard facing suites that come with a separate living and bedroom space and regular Vineyard facing rooms. 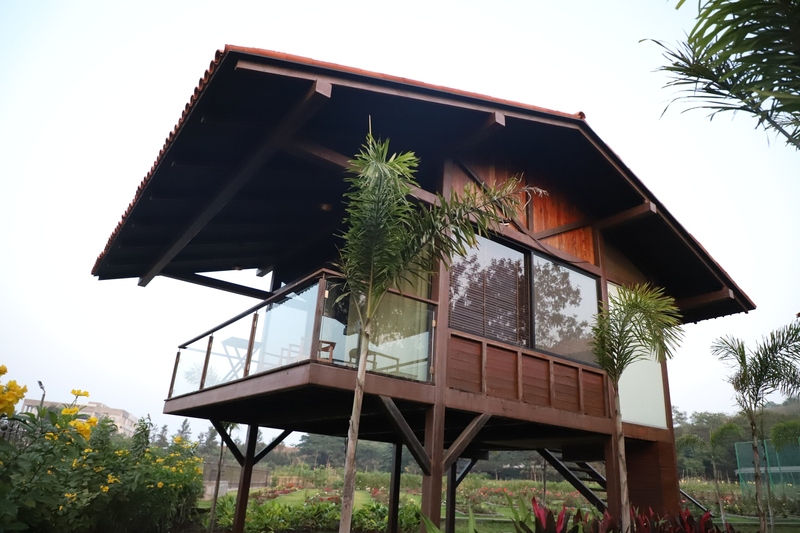 However I suggest you check into the other accommodation option located about 5 km away from here called Beyond that is a small boutique property behind the rolling hills on the banks of the serene Gangapur Lake. If available, check in to the uber luxe yet minimalist 3-bedroom SkyVilla that offers stunning and uninterrupted lake views and comes with its own pool and large lawns. 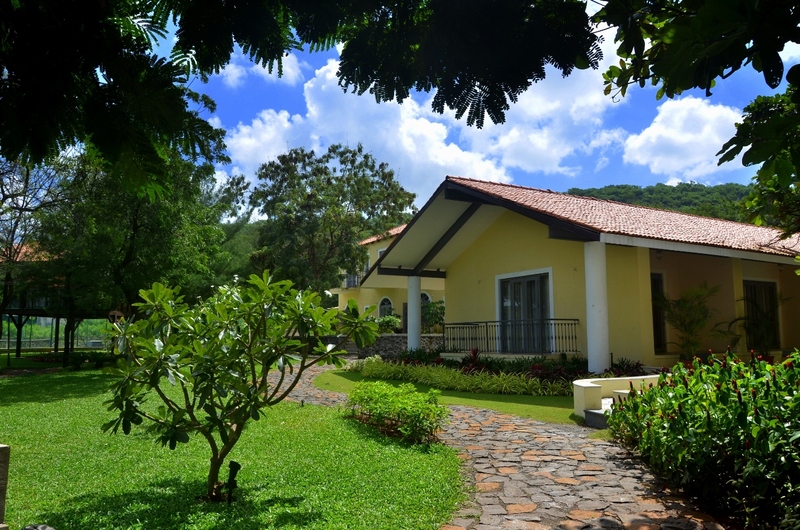 The other seven lake view rooms here are named after some of the famous hill stations of India and are fairly large and come with bathrooms that also have a patch of green. And yes all rooms are also fully stocked with the finest wines from Sula. The in house restaurant here is a delightful place that serves both Indian and Continental food with wine pairing suggestions too. The infinity pool here is perfect for families who want to chill on their holiday. Each room also has an al fresco seating area where you can enjoy the stunning natural vistas too. There are bicycles available in case you want to zip around the vineyards too. And to relax head to the Vinospa for a grape inspired spa experience. Between the two resorts there are several dining options here. At the Source the Tasting Room is a where you can sample wines and taste some heavy snacks too. The views of the vineyards and the lake framed by the mountains make for a picture perfect scene that complements your meal. The in house restaurant at ‘The Source’ has an extensive a-la-carte menu that also suggests which wine you can pair with each dish. The other restaurants here include Little Italy that offers pure vegetarian Italian fare using several of the fresh organic ingredients from the in house garden. The wood fired oven pizzas, delectable pastas and fresh salads are a must try. If you prefer Indian head to Rasa that celebrates all things India with curated recipes that pair perfectly with Sula’s wines. Do sample the coal roasted Indian clay oven (tandoor) specialties and slow cooked Indian delights here. The restaurants are open for both lunch (12.30 to 3.30 pm) and dinner (7.00 to 10.30 pm). You can also make group reservations and have specially curated menus if you book in advance. The best part of the place however is its attention to the environment and ecological sensitivity. The factory where the wines are stored has natural sky lights that save power. In fact close to 50% of the energy required is through solar panels. There are huge rainwater harvesting systems in place that take care of 25% of the annual water requirement. To keep the grape cultivation pesticide free, vermiculture is being practiced and drip irrigation ensures a 70% saving in water as compared to traditional flood irrigation. All waste water is completely reused after it is processed in Effluent Treatment Plants. Interestingly the local community is also being simultaneously developed through the CSR wing of Sula Vineyards. Many children’s parks, sanitation projects, schools as well as employment, education and training have been given. 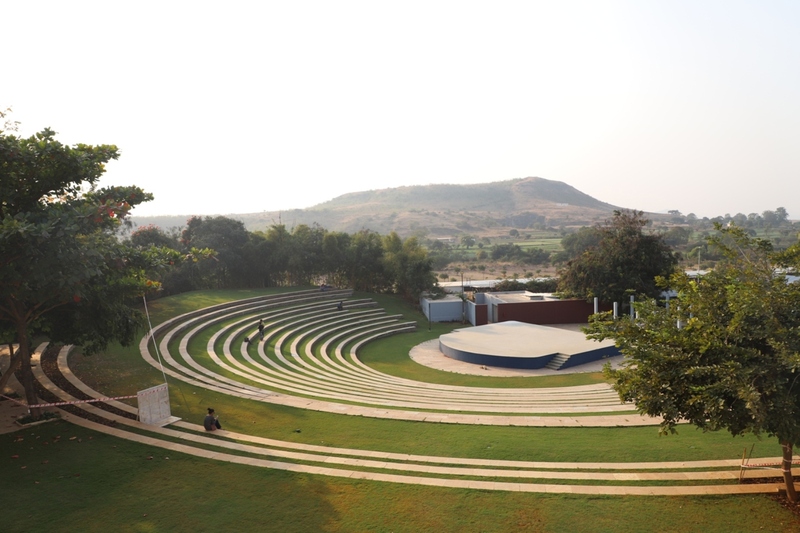 The 1.5 acre Greek-style amphitheater has landscaped lawns and semi-circular seating and hosts the annual gourmet music festival SulaFest. When you are here, do buy the 100% natural and pure cold pressed Grapeseed oil that is high in vitamin E and anti-oxidants, You can use it as a moisturizer, for skin toning, healthy hair and even as a salad dressing. All visitors to the vineyards will have to pay a cover charge of INR 100 per person on entry that can be redeemed against food and wine spends at the restaurants and Tasting Room outlets. The Gift Room and Bottle Room are the perfect place to pick up wine related souvenirs and wines (at a discount).